This was usually the last thing I heard from my mom when I was headed to the beach in my teenage years. I’m still not sure if it was the hat hair, that I thought hats weren’t ‘cool’, or that my head just got super sweaty, but for some reason it was always the thing I forgot to do, put on my hat! Now I love a good sun hat! There are so many great options out there from practical to fashionable that I am now spoilt for choice when searching for the best sun hat. How am I meant to choose only one? Right about now you might be thinking, do I REALLY need a hat, can’t I just put sunscreen on? You should always wear sunscreen with a hat to provide optimum protection from the sun but yes, you really need that hat. A hat will mean that if you do forget to reapply your sunscreen after two hours or after swimming your face, neck and ears are still protected. A hat will also protect you from both UVA and UVB rays. Broad spectrum sunscreen does this at the surface of the skin, but why let it get there in the first place. Both UVA and UVB rays are dangerous because the damage they cause directly leads to life threatening skin cancer. After thorough research into requirements for the best hats for sun protection, SimplySunSafe recommends the Columbia Sportswear Bora Bora Booney II Sun Hat as the best hat to block out the sun and keep your skin safe. Read on for a detailed buyer’s guide, comparison table, and in-depth reviews of the top 5 sun blocking hats for you this summer. We all know how important hats are at protecting not only the top of our head, but we also need protection for our face and neck when we are outdoors. You probably already know there are different types of sun hats depending on the protection you’re after. So let’s explore some of the best sun protection hat styles on the market! Bucket Hats have a deep crown and a wide, downward slanted brim. Think fisherman and festivals! They provide your ears, face and neck much needed shade. They are mostly available in heavy fabrics like canvas or denim, but also some lighter weighted fabrics have been hitting the market. Broad Brimmed Hats have a large brim around them, providing plenty of shade for your face, neck and ears. They come in lots of different fabrics and materials including straw, felt, canvas. They also come in lots of fashionable options for the fashionistas in all of us. Legionnaire Hats look like a baseball cap but have a flap that covers your neck, ears and side of your face giving you extra protection that a standard cap. Not really the type of hat you would wear on a first date, but really good for protecting your precious skin. Baseball Hats are familiar to everyone. We all know what these look like, however, as they don’t protect our ears, cheek or neck I don’t recommend them as a sun hat option. This will depend on what activity you want to undertake when you are wearing your glorious hat. Do you want to lay on a beach all day or are you hiking? If you are gardening you will need a totally different hat to your neighbour who surfs every weekend. UPF stands for Ultraviolet Protection Factor and provides you with important information on how much of the sun’s harsh ultraviolet rays will penetrate your clothing and potentially harm your skin. If you want UPF clothing that you can trust (which of course you do), keep an eye out for the Skin Cancer Foundation’s Seal of Recommendation that guarantees the manufacturer has provided scientific data to back up their sun protection claims. In line with the Seal of Recommendation SimplySunSafe suggests you choose products that are rates at no less than UPF 30. As I mentioned earlier the UPF rating of a sun hat will be affected if it becomes wet. If you know your hat will be going for a few swims on its adventures this may be something to take into consideration to ensure the protection you need is restored as quickly as possible. We all want the best bang for our buck so this one can be a big one for us all. Luckily for us there are lots of fashionable and cost-effective options for us that still provide great sun protection. No one wants to look unfashionable, that’s just not Instagram worthy. 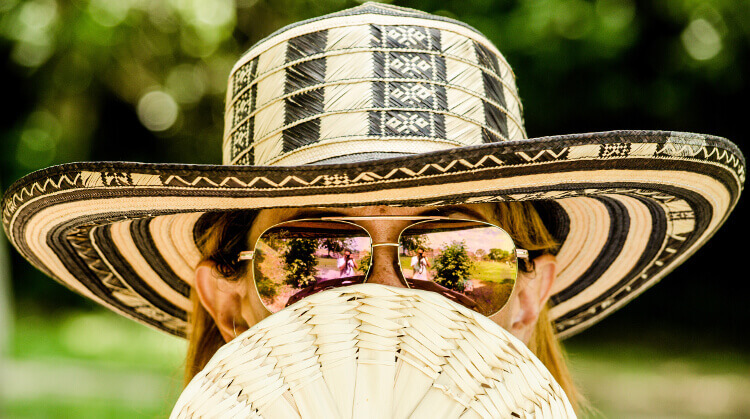 While yes, some sun hats may be perceived as not on trend with the latest fashion, there is nothing unfashionable about protecting yourself from the sun. This allows heat to escape, and keeps your head cool. Depending on what activity you are undertaking, this will be more important to you if you are going hiking, and less important if you are going for a stroll. This hat has it all! Let’s begin with the UPF 50 rating which blocks out 98% of the sun’s harmful rays. It’s cooling functions include a sweatband to keep your face from becoming a waterfall of your sweat plus a mesh vent panel to help heat escape and keep your head cool. It comes in 6 different colors so there’s bound to be something for everyone, you can even buy one for mom and dad! If you want to take a swim to cool off, then no problem, this baby is fast drying meaning it will be back up to its maximum UPF protection before you can say ‘let’s go fishing’. While it doesn’t rank highly on the fashion scale, if you are looking for a champion sun hat this is it and an added bonus… it won’t break your bank! This one is for you ladies! It’s super fashionable but it’s large brim means that your face, neck and ears still get lots of protection. This gorgeous hat is also rated a nice and high UPF 50. For comfort it has an interior band and the wind lanyard means this hat can be worn even on windy days! You need this beautiful hat in your life! Did I mention it also comes in multiple color options and even a ‘floppy’ option for a more ‘relaxing honeymoon’ vibe. Sloggers know that sun protection doesn’t have to be unfashionable. This fashion forward sun hat will have you out and about in no time. This beauty is also reasonably priced so you can even get multiple colors for different looks! I only wish it was easy to pack as this one doesn’t fold or pack easily. This sun hat is super stylish for you men out there reading this. I mean seriously look at it. 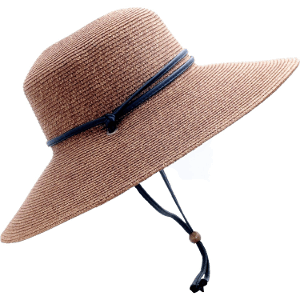 It’s wide brim means you have great protection from the sun on your face, ears and neck. It’s rated at a nice and big UPF 50 for maximum protection. To help you stay cool it has an internal sweatband and ventilation holes. It comes in 6 tasteful color combinations so there is bound to be something that grabs your attention. For sizing there are 3 options to choose from to make sure it feels nice and snug on your head. 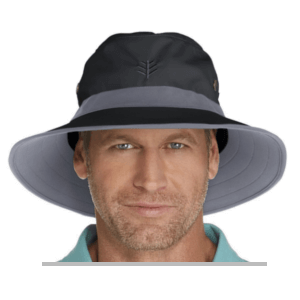 Even though this hat is marketed as a golf hat I can definitely see you wearing it for loads of activities including kayaking, volleyball, and those long walks on the beach. And if you happen to want to jump in the water after your walk this hat is also quick drying too! Get Coolibar Matchplay Golf Hat Now! Now come on. Bare with me on this one. Yes it’s not the most stylish hat on the market but what it lacks in style it makes up for in comfort and practicality. Let’s look at it a little further. This hat has adventures written all over it! There are endless possibilities in this hat – hiking, running, fishing, and gardening are ones that come to mind. The large brim and neck flap means your head is entirely protecting from those nasty UV rays. A lovely big UPF 50 rating means you’ve got yourself the best UPF rating you can get. Additional features include: wind lanyard, one size fits all design (no need to worry about sizing), mesh panels to help keep you cool, fast-drying, foldable and a choice of 5 different colors so there’s something for the guys and girls. Customer reviews note some concerns regarding the protection the mesh panels provide which is why this product did not rate higher on our list. 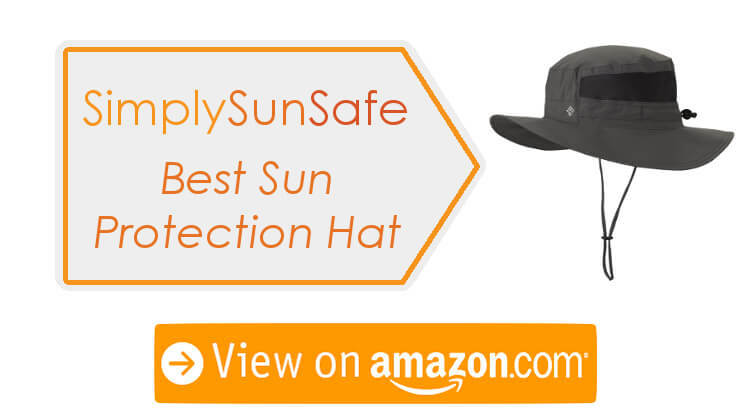 It’s the one stop shop for all things needed when shopping for the best cap for sun protection. 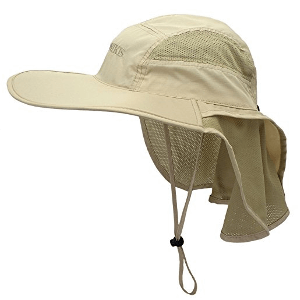 Get Lenikis Outdoor Activity Sun Hat Now! Another one for the ladies because I cannot get enough of these at the moment. They make me want to pack my bag and head to the Maldives, or Bora Bora, or let’s be realistic, my local beach which is much more in my price range! The big floppy straw hat is breathable and comfortable and screams tropical holiday to me. It makes me so happy that these babies also have some amazing sun protecting features while not compromising fashion. 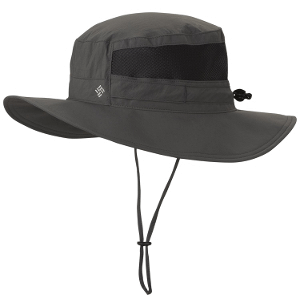 Rated UPF 50 for optimum sun protection, a nice wide brim for plenty of shade for your delicate skin. These guys are also foldable so once you stop for a drink (cocktails anyone?) you can just fold it up and it’s out of the way. But what makes me super super excited about this one is that it comes in 13 solid colors and a variation with a black trim. However yes, yes I know… I must point to you that it isn’t practical for any strenuous outdoor sports but if you want a hat to lounge around in this is the one! Plus they are so reasonably priced you can buy multiple colors. There has been some discussion on forums about size variations so make sure you check the sizing guide and buy accordingly. Customer reviews also noted some concerns regarding how the hat arrives and needs to be given time to get back into a nice shape. 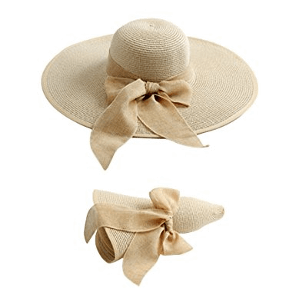 Get Lanzom Bowknot Straw Hat Now! This article was written for those of us looking for the best sun protection hats. I hope it has provided helpful information about what you need to look for in a perfect sun hat. SimplySunSafe recommends the Columbia Sportswear Bora Bora Booney II Sun Hat as the best hat for sun protection. After considering all of the features that make a sun hat the BEST sun blocking hat, this was the product that came out on top. If you think one of the other four better suits your needs, go ahead and choose that one because ultimately the decision is about your skin and needs. Remember a hat is not your only defence against the sun harsh rays. To refresh your memory on skin cancer prevention guidelines, check out the amazing resources on the Skin Cancer Foundation’s website. I love hearing from my readers, so if you purchase any of these, or find another option you think is better please let me know about it in the comments. I’ll do some research and add this to the guide. I hope you enjoyed my article on the best sun protection hats I hope it has helped you make better choices about your sun protection.